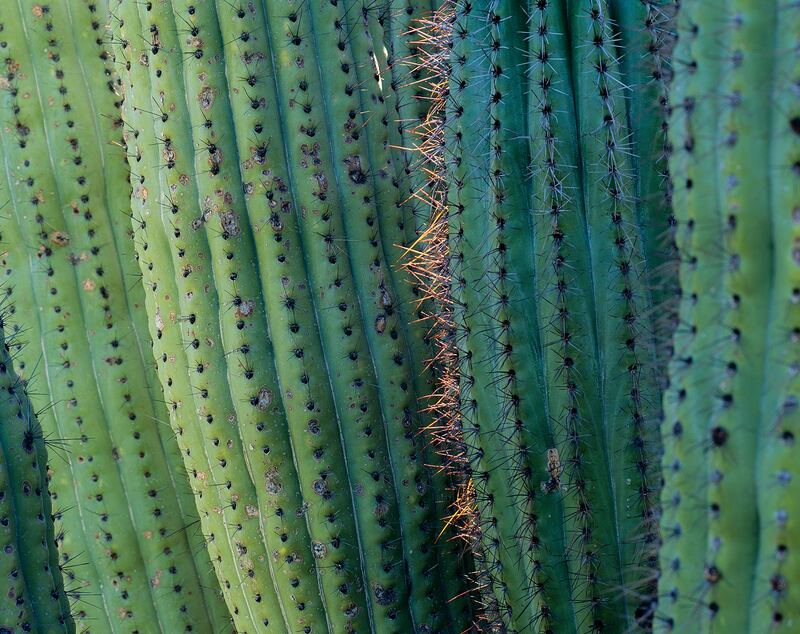 This nearly abstract study of the trunks of an organ pipe cactus showcases a phenomenon I call reverberant lighting, whereby sunlight is reflected off of nearby surfaces in varying degrees of hue and intensity. This effect depends on a precise alignment of the sun and is therefore only reproducible for a few minutes of the day, on certain days of the year. The needles of the organ pipe cactus transmit some light and appear red when backlit, similar to a hand held over a flashlight in the dark.